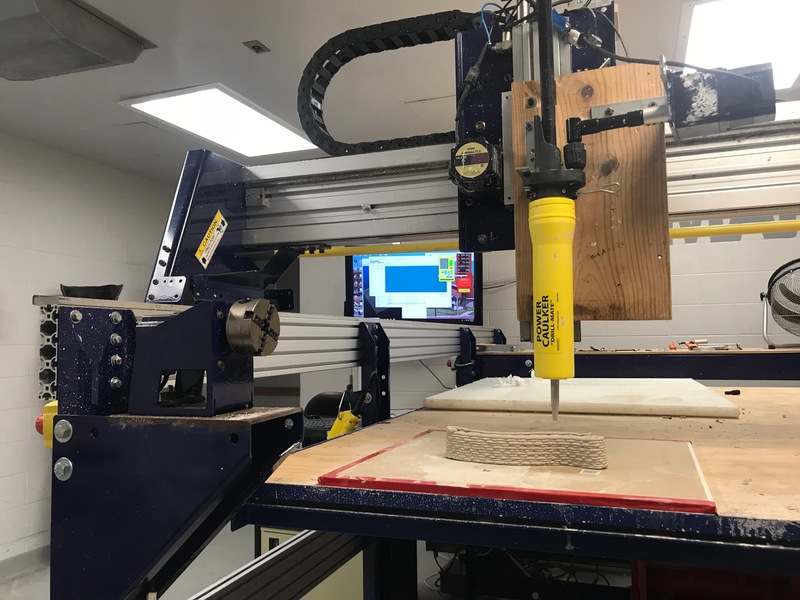 The Facilities for Arts Research(FAR) and the FSU ceramics area are collaborating on researching 3D printing clay with the Multi-Modal Additive Printer(mMAP). Eric Adams and Marty Fielding will exhibit artwork created through this collaboration and present their research at the National Council on Education for the Ceramic Arts(NCECA) conference this March in Pittsburgh, PA.
Like many fields in art, ceramics has embraced digital technologies including direct printing with clay. Commercially made printers are available from several manufacturers and there is a thriving DIY community working with open source designs to streamline and improve the process and results. NCECA has recognized the importance of these new tools and designated a space within the wider conference as the Clay Fab Lab comprised of a presentation space, demonstrations of equipment and an exhibition of artwork that incorporates technology. The mMAP can be seen as a hybrid of commercial and DIY technology. Designed and built by Windham Graves at FAR, the mMAP is a large scale 3D printer that uses an 8 x 6 foot ShopBot CNC router as a chassis. Its interchangeable printheads allow printing with clay, plastic filament, and concrete. While many existing printers have a 16 x 16 x 16 inch print size, the potential scale of the mMAP sets it apart. It has been said that it can make a print the size of a Mini Cooper. Adapting open source solutions to the mMAP, Adams and Fielding are re-designing a clay extrusion system to take advantage of the scale of this unique machine. Two important upgrades will be a reservoir that holds a quantity of material to print larger and an extrusion printhead for better print quality. Marty Fielding is a ceramic artist, Operations Manager at FAR and Adjunct Professor. His studio practice incorporates digitally fabricated components into compositions of sculptural vessels. Eric Adams is a multi-media sculptor, Ceramic Labs Manager and Adjunct Professor. The goal of this collaboration is experimentation with the technology, material and artistic potential as it relates to the mMAP. 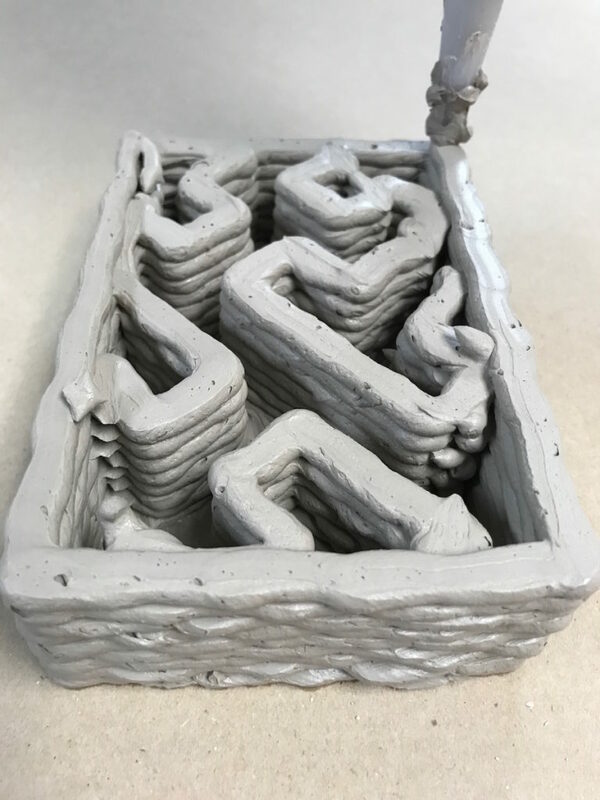 Adams and Fielding will utilize the experience gained in their teaching in FSU ceramics, the Department of Art and the wider field of ceramics. Stay tuned to see results in the coming months!